Fun art classes for adults at the Wine Shop. 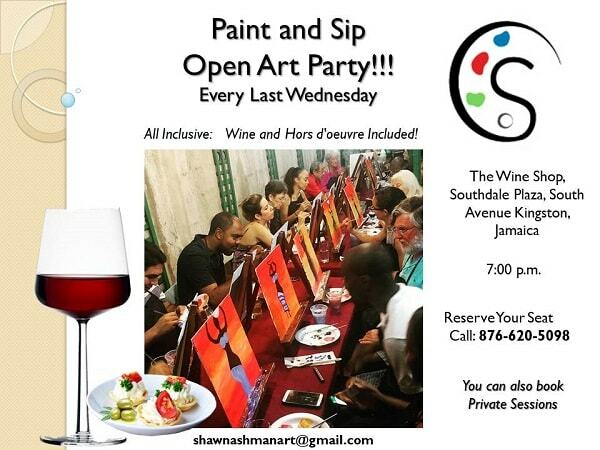 Come and paint with us and let us guide you through a masterpiece while you paint and sip a glass of wine. All supplies are provided. EVERY LAST WEDNESDAY AT 7PM. Telephone 876-620-5098.